If you are looking to get into the VoIP reseller market, one think you need is A-Z termination. Whether an entrepreneur, call center, calling card operator or doctor’s office utilizing IP PBX phone systems, V1 VoIP is delivering carrier services, customer management and billing solutions. V1 VoIP offers our resellers and providers quality A-Z VoIP termination at competitive prices. Because using VoIP termination services is becoming a key way to save small and medium size businesses money, they are increasingly turning to VoIP technology for their communication needs. Companies and businesses utilizing these services embrace the savings for their own enterprise; or pass on the added benefits and cost efficiency to their buyers and end users. 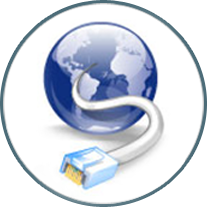 V1 VoIP’s wholesale A-Z SIP termination offer a myriad of services to provide you with a one-stop-shop solution for your all VoIP termination needs. We offer stability and the availability of both domestic and International call routes while guaranteeing the highest possible call statistics. We can provide access to the quality routes at competitive prices and offer a portal where you can get all manner of billing and admin services in real-time including CRDs. Don’t believe our pricing can be this low? Call us for a free demo of our platform and confirmation of our competitive rates!